Have you ever been to a wedding and the First Dance has almost been an afterthought? Or even worse, you had no idea that it happened at all! Well that will not happen if you book us, as we will make sure that everything has been properly organised and planned in advance. 9 times out of 10 an entrance is a good bet, as it can often take a bit of time to get guests in the right position, so saves you the awkward situation of hanging about. We would also try to get as many guests as possible up and around the dance floor area, depending on the venue. There is nothing worse than doing a first dance in a massive open space and having everyone staring at you from their chairs. We would also often combine other formalities with the first dance because spreading things out will confuse and disengage the guests, especially on a nice day when rounding up your guests is more challenging! Most commonly, we combine the Father/ Daughter Dance and Cake Cut with the First Dance. Making sure that you guys are ready is key and then informing anyone who is also involved (such as the Father of the Bride). We will check that we have all the correct information and music cued and then let guests know what’s coming up with 10 minutes’ notice. We use lighting to change the various sections of a First Dance. It’s usually static and pink to start with and then we brighten up the room. When we can see that the photographer has got his shot, or that you want people to join you, we will often darken the room and invite other guests on to the dance floor. It’s your wedding after all, so why not play the music you like the most rather than the usual tracks? A word of warning though, if you want a track that is either fast, Alternative, or not very well known, it’s well worth coming up with a dancing plan that will keep your guests enthralled throughout. If you want guests to join you then pick the perfect point for the finale lift or twirl etc! Getting your friends and family on side prior to the dance is the key here. Here is a First Dance playing quite a heavy (but very popular) track. They originally suggested going straight into the track, but we advised to have a classical version first and then launch into it for maximum impact. As you can see, the Best Man (on crutches) and other key Groomsmen/ Bridesmaids are ready to jump on the floor, encouraging other guests to join them. It worked a treat! We would recommend that you follow up with something a bit more guest friendly/ laid back to encourage them to stay on the floor. 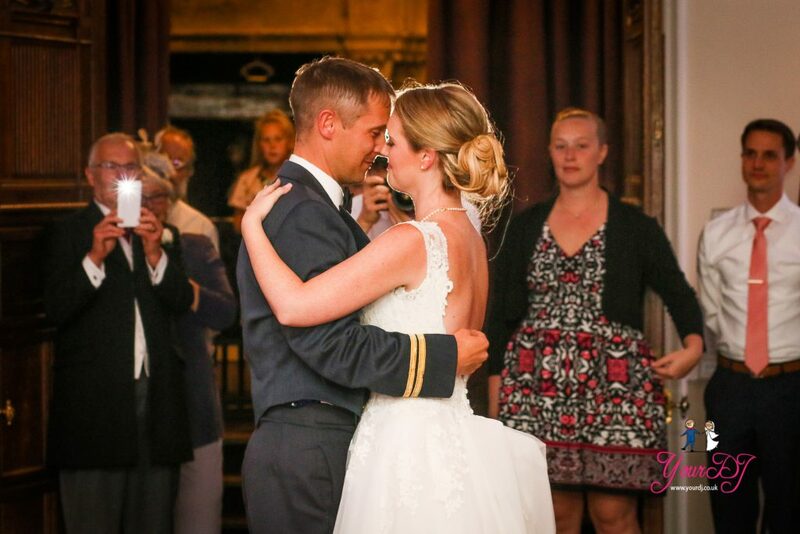 Here is an example of a well choreographed First Dance to Weezer. They have clearly spent a long time practicing this dance and the guests are also in a perfect position round the floor. Getting guests to join join half way though would have been a good option on one of the verses.